When it comes to new releases, nothing from Potter’s Craft Cider is rushed or ill-considered. You can tell from the quality of the product. The flavors are never haphazardly executed, the combinations never carelessly conceived. While owners Tim Edmond and Dan Potter do experiment by trial and error, none of the errors ever makes it through. The latest release is no exception. 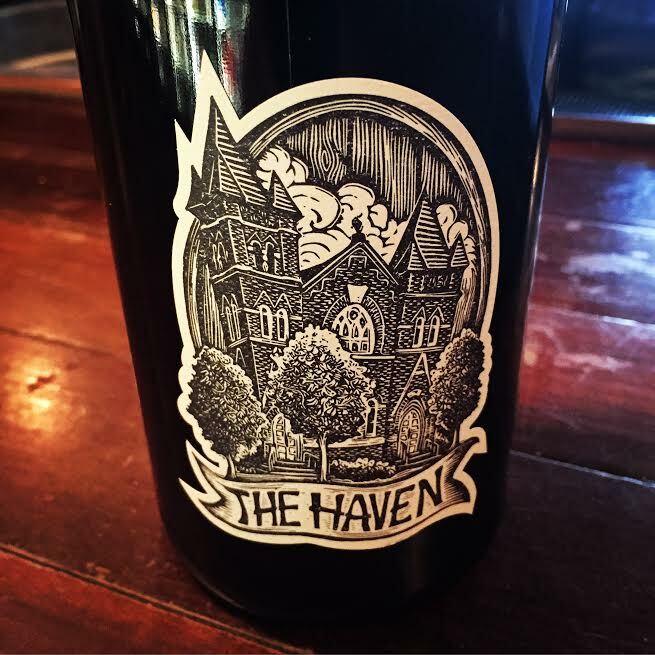 The Haven is a Belgian style cider flavored with figs, coriander, and Belgian dark candi sugar. Bottle-fermented with Belgian abbey yeast, it is perhaps the one Potter’s offering that would most appeal to beer lovers. In fact, the rich aroma of stone fruit, ruby port cask, and spice is a dead ringer for Dogfish Head’s legendary World Wide Stout. And, while apple is present, the taste is less reminiscent of cider than it is of a Flanders Oud Bruin or a Belgian Quadrupel like St. Bernardus Abt 12. Unlike many of Potter’s other offerings, this is not a refreshing drink to have on the porch on a warm summer day. Rather, at 12% alcohol, it is one to enjoy in a snifter by the fire with a book, or in a haven from the rain. It is special. You can be one of the first to try it at The Haven’s release party, this Saturday, May 21, at the IX Art Park, from 11 am – 5 pm. In addition to cider tastings, there will be music by Tequila Mockingbird, donuts by Carpe Donut, and, perhaps best of all, food by Cote-Rotie. (Wherever Cote-Rotie goes, you should go.) And, you’ll have a chance to buy a cider that seems destined to sell out fast.